Blood flow depends upon relaxed, open arteries and a healthy blood pressure is one of the key measures of a healthy heart, so your blood pressure is vitally important! The amount of blood being pumped and the flexibility of your arteries both influence that force. 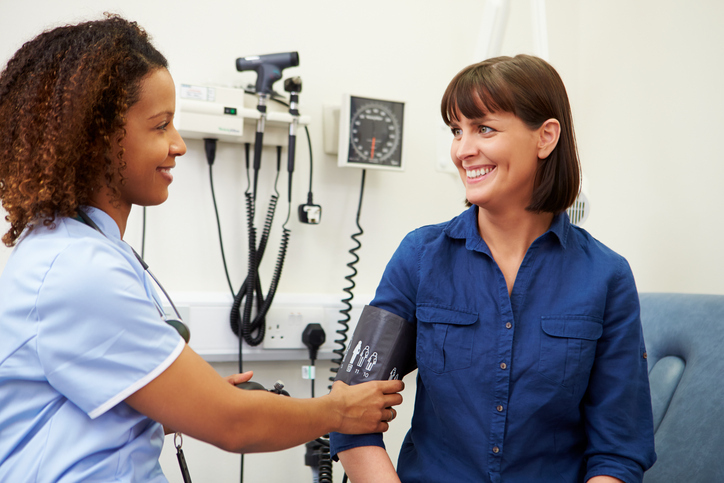 If you have questions about your blood pressure – and for that matter, rising blood sugar or insulin levels or an expanding waistline – know there’s much you can do to help maintain normal healthy levels. 1	Get active and walk more steps. Exercise is one of your most powerful strategies for managing your blood pressure and your insulin level. Try tracking your steps with a fitness tracker or your smart phone and shoot for 7,000-10,000 steps a day. And if you work at a desk all day, make sure you stand up, or better yet, switch to a stand up desk like I did. 2	Breathe deeply and slowly and let go of stress. The way you breathe can affect your blood pressure. One method of breathing, the Buteyko Method, was discovered by a 26-year old Russian physician while trying to manage his own blood pressure. 3 Many grocery store food choices today don’t even resemble real food. Get the processed foods out of your cart – and out of your home. Many processed foods contain high levels of sugar and fructose, processed salt, unhealthy trans fats, and damaged omega-6 vegetable oils – all things that can affect your blood pressure and health. In fact, I believe one of the primary causes of blood pressure issues is related to your tissues becoming insulin and leptin-resistant in response to a high-carbohydrate and processed food diet! As your tissues become more resistant to their actions and your insulin and leptin levels rise, so does your blood pressure. In a group of study subjects who were insulin-resistant, nearly two-thirds also had blood pressure above optimal levels. 4 Balance your gut flora with probiotics for blood pressure management. Eat more fermented foods and consider a probiotic supplement. 5 Optimize your vitamin D levels. I talked earlier about how a lack of flexibility of your arteries can affect your blood pressure. 6 Vegetables and fruits benefit your heart and arteries and you ned to eat more Potassium too. It is an essential mineral, but also an electrolyte, and plays a crucial role in maintaining healthy blood pressure. Many people believe salt to be one culprit behind high blood pressure. Studies now reveal it is an imbalance between the intake of sodium and potassium that may be causing the problem. Eating food rich in potassium such as avocado and green vegetables such as broccoli, spinach and brussel sprouts can help to correct this imbalance. Bioidentical progesterone is protective of the heart as it helps balance excess oestrogen linked to heart disease and strokes. One of the effects of progesterone is to balance the water retention action of oestrogen. This water retention is a factor in high blood pressure and is linked to both oestrogen dominance and Pill and HRT use.